At a campus spread over 700 acres, commuting has been a hectic activity for the students and staff at NUST, Islamabad. Walking long distances between departments, cafeterias, and libraries, campus residents are usually hitchhiking or walking. With the daily drill, some junior students started brainstorming efficient ways to mobilize the residents and visitors of NUST. Here, Cykiq was born. A ride-sharing startup, Cykiq essentially is an automated system for on-campus bike renting. Various universities, across Europe and company-campuses across America, have successfully deployed shared-biking systems for students, and employees respectively. Now, our very local startup, Cykiq is all ready to transform on-campus and public transit system of Pakistan. Bikes are not only effective for covering short distances but also provide a viable solution for a shareable mode of transportation. In a conversation with TechJuice, Chief Operating Officer of CYKIQ, Ans Shehzad shares the journey of the bike sharing startup and its progress over the short span of time. Once the co-founders arrived at the solution. they started working right away and launched a public survey to measure the response of their target market. At NUST, there was already an intra-community transport system in place, however, it worked on fixed routes and was not available 24/7. It did not provide the exclusivity and freedom while commuting. Therefore, when the team pitched a green and affordable solution to campus administration, they garnered support and encouragement to kickstart Cykiq. The bike sharing system is commonly specified into two types: docking and non-docking. The docking system has specified stations where users have to unlock a bike from a source station to ride which could later be parked at a destination station only. Initially, Cykiq began with a docking system which was designed by its own team and locally manufactured by them. The testing phase of the project kickstarted with two stations and 10 cycles. One station was located near the hostel, while the second was deployed near one of the departments. With the introduction of this facility, the 15-minute walk distances were reduced to a cycle ride of 3 to 4 minutes. However, Shehzad tells that being deployed at only two stations, the service seemed to be very limited for a campus that houses 5000 residents and has a daily footfall of 12000 day-scholars, staff members, and visitors. Each month, approximately 20 users were sharing the 10 cycles. Therefore, Cykiq decided to add more cycles to the system but they abandoned the idea of building more stations. With the addition of new bikes, Cykiq also introduced a shareable locking system which provided the users with keys to the same set of locks. In four months, they had increased the number of cycles from 10 to 30 and eventually scaled up to 50 bikes in five months. During this time, the system was working manually. With these 50 cycles, they initiated user profiling to better understand the needs of their target market. They discovered that 60 percent of their userbase comprised of female riders. Moreover, the service became popular amongst the blue collar staff who did not hitchhike and usually walked the distances. Meanwhile, summer vacations had arrived and they were not expecting much traction. Turned out, they were overbooked for entire summer as the residents preferred to ride a bike in heat than cover distances by foot. Progress slowed down when senior year engulfed the team members in academic commitments. However, as soon as they graduated, they were back on track working full time on the startup. For public use, it was essential that cycles underuse were strong in grit and followed a certain requirement so maintenance requirements are reduced. Therefore, Cykiq decided to manufacture its own unisex bicycles. They partnered up with the oldest and top cycling manufacturers in Pakistan, Sohrab. Cykiq provided the designs to Sohrab and 100 cycles were locally manufactured in Lahore. By December 2017, Cykiq had 150 cycles in its fleet. The team also moved away from docking stations and employed a non-docking model. In such a model, all technology is mounted on the bike and lock. It also provides increased convenience for users as they are not bound by a location to pick and drop their rides. The non-docking model is also capital intensive as compared to building entire stations. With the new model, Cykiq also introduced a companion mobile application for Android and Apple users to access the bikes. They could scan the QR code and the lock would pop upon. The bicycles can also be tracked with the app and smart locks. The locks have been designed in-house, but with the limitations of local manufacturing, Cykiq is getting them manufactured from China. One of the biggest challenges of Cykiq was to introduce an online payment method. Initially, the team was depositing cash payments, however, it was not being feasible as they started scaling up. They integrated SimSim wallet and EasyPaisa but received a backlash from their users to add another app for using the service. Therefore, Cykiq decided to introduce their own wallet, CyWallets. The wallet could be charged from any cafeteria at the campus, providing ease and convenience for the users on campus. Shehzad shares that their packages are highly affordable. If you require a bike just for a day, then a ride for half an hour will cost you only PKR 15. If you are a frequent user, you can opt for the 5-rides package that will charge PKR 70. There is also a weekly package starting from PKR 150 and monthly packages range from PKR 300 – 500. Since December 2017, Cykiq rides have completed over 10,000 kilometers of distance. The Cykiq app has been downloaded almost 3000 times. The app has daily users ranging from 150 – 200 bike-hailers. Being a capital extensive startup, Cykiq has been facing challenges to raise funding locally. They kickstarted with personal funds and bootstrapped while scaling up to 30 cycles. They later secured a seed fund but now they are tapping avenues beyond the country to secure funding. Moreover, they are also pursuing franchise partnerships with private and commercial entities. They have recently signed a franchise deal with Ghulam Ishaq Khan Institute (GIKI). If they sell three more franchises, the startup will become cash positive. The startup has also opted for China to get custom made cycles that are sturdier for public use. The test batch has arrived and Cykiq will be ordering a mass manufacturing order for summers as it kickstarts its operation in GIKI. They will also be launching a feasibility study for the University of Karachi. Shehzad believes, the restriction of ride-hailing services entering the campus and need of short distance commuting, academic institutes provide a niche for Cykiq. Therefore, the startup has been exploring other avenues across universities across KPK, Punjab, and Sindh. He also acknowledges that public universities definitely have the need but lack of funds may restrict them from adopting such solutions. Therefore, Cykiq is also looking for commercial partnerships that will be able to deploy the solution beyond universities. With public transport being streamlined, there is also a need for commuting from metro stops to the desired destination. Therefore, instead of calling a ride-hailing service, public cycles can also be introduced for such short-distance commuting. Peshawar Metro Project has also introduced bicycle lanes, therefore Cykiq is also aiming to foster partnerships with the government. Cykiq is led by Hamza Afridi who is the CEO of the startup and manages technology and strategy. Ans Shahzad, the COO handles all operations, legalities, and partnerships. Two industrial designers Senam Khan and Ammara Tariq are also a part of the team who look after user-centric design and marketing. Shehzad shares that the team also has a financial analyst and veteran business developer. For a startup, this young, manufacturing a hundred cycles locally and introducing its own wallet is no small feat. 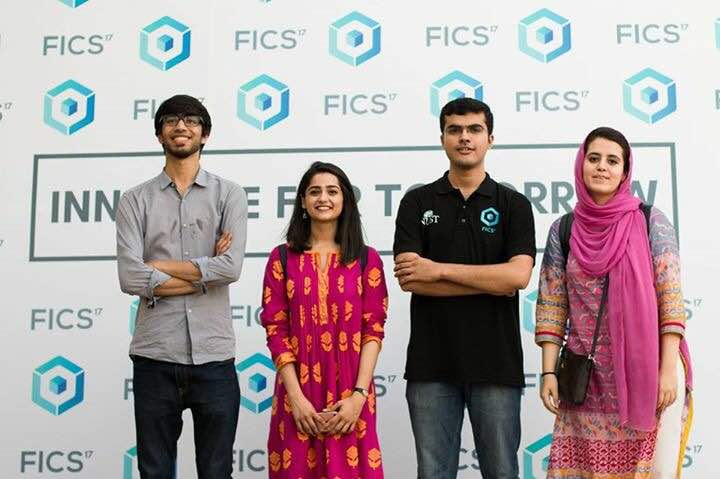 Driven by its vision to disrupt the public transit of Pakistan, Cykiq is one of the Pakistani startups that are laser-focused to solve local challenges and understand their niche well.